It is a common practice to set a lock screen password or pattern on LG phone to prevent unauthorized access. The lock screen passcode is a useful feature to keep other people from peeping into the content of your phone. It is a form of privacy protection but can sometimes be an inconvenience, especially when the owner forgot the screen passcode that he or she set for the device. The phone will be completed locked when you couldn't remember screen lock code. If you already backed up the phone, then you can factory reset the device and restore from backup. However, if you didn't do it, then hard reset is definitely not the right option because it will erase all the data on the phone. 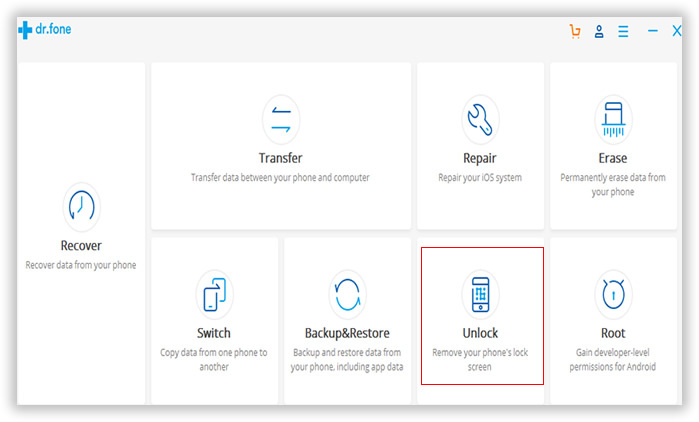 Before you send your phone to an expert that may charge you a ton of money to help you regain access to the phone, please hold on a second, as we will help you remove the Android screen lock without losing any data in just a few minutes. When you signed in with Google account, then it is highly possible you already turned on Android Device Manager service. It is a remote web service to help you reset lock screen password/pattern/pin without lost any data. And the steps are quite simple to follow. Step 1: Login Google Account and click here to open Android Device Manager page. Step 2: Find your LG phone on the screen and turn on "Lock & Erase" feature. 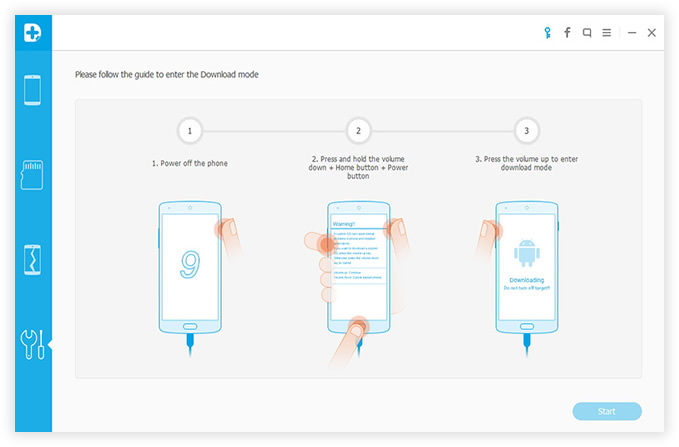 Step 3: Follow the onscreen instructions to lock the phone. 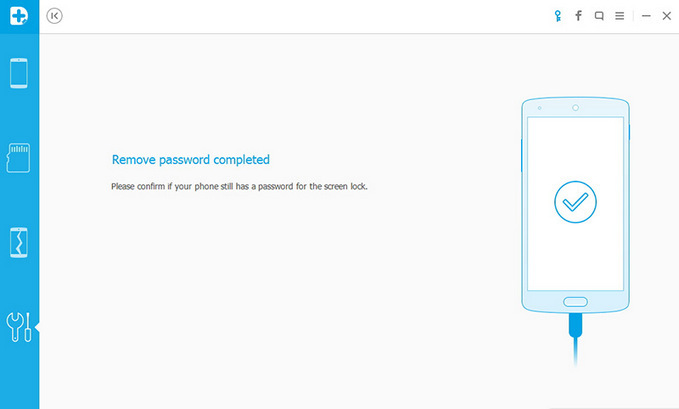 Step 4: Set a temporary password for the phone. Step 5: Input the password to unlock the phone. 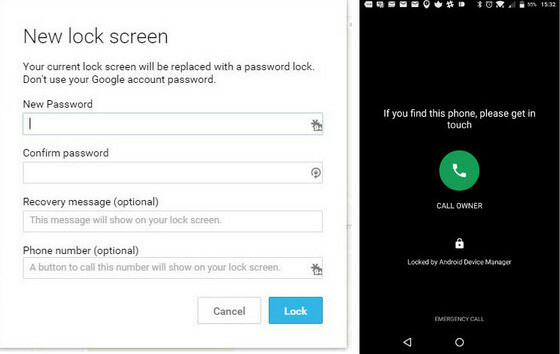 If you didn't sign up with Android Device Manager service and still don't want to lost your precious data on the phone, then you can use Android Lock Screen Removal to delete the password. 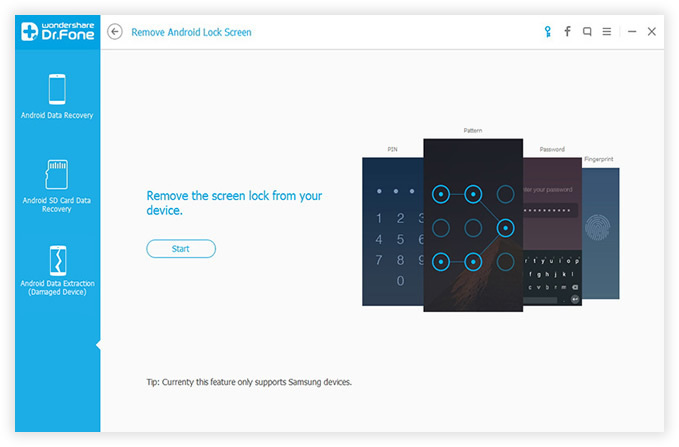 It is a program that eliminates the four types of screen lock (Password/Pattern/PIN/ Fingerprint) for any smartphone that uses an Android operating system. With it, you can regain access to your phone without suffering from any data loss. Using this program is also simple and easy. You do not need to have any technical knowledge to use this on your LG phone. Step 1: Download and install Android Lock Screen Removal on a computer. Open the program after installation. From the main screen, click "Unlock" button. Step 2: Connect your LG phone to the computer with USB cable and click "Start" button to begin password removal process. Step 3: Put LG Phone in Download Mode. First, power off the phone. Then press and hold volume down, home button and power button at the same time. Press the volume up to enter download mode. 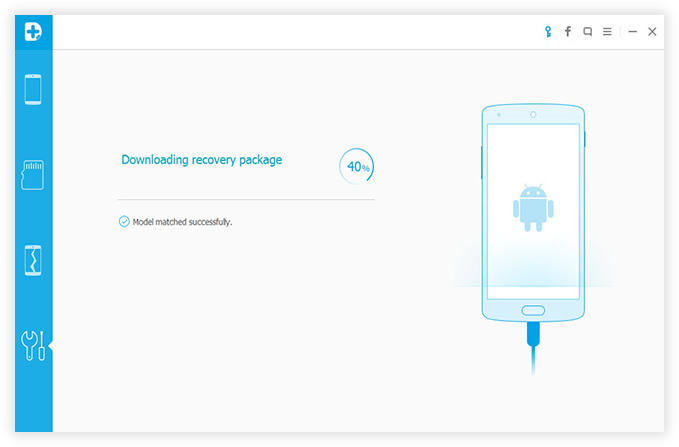 Step 4: Download Recovery Package. The program will download corresponding package. You can see the whole download progress on the screen. This will take a few minutes. Please don't disconnect the phone during this step. Step 5: The program will flash the recovery image to the phone once download is finished. A few minutes later, you will see a message saying "Remove password completed", which means the passcode/pattern/pin/finger print being removed successfully. There is no data loss during the whole task and there is no passcode on the screen now. Besides the two methods mentioned above, there is also one way left: boot your LG phone into download mode and completely reset the device. This is an useful tip recommended by iSeePassword to bypass Android lock screen password. However, all data will be erased on the phone if you decided to do it in this way. Whatever reason you have for being unable to reset the screen lock such as purchasing a second-hand device with a locked screen, accidental or intentional password changes by your children, being locked out due to maximizing number of passcode retries, and inability to type the password from a broken screen, you can get rid of the screen lock within 5 minutes by using this program. Android Lock Screen Removal is guaranteed 100% safe to use because you will be the only person who can access both your data and your account. There is 0% of data breach as well as data loss. The only thing that will be removed by this program is your screen lock and not your data. You can use it on various Android devices including LG, Samsung, Sony, HTC, HUAWEI, Motorola, etc. So if you are searching for a safe and dependable solution to break free from your screen code, look nowhere else because Android Lock Screen Removal is here to help you. Tips: in case you forgot Windows login password, you can bypass authorization with the help of Androidphonesoft Windows Password Recovery.